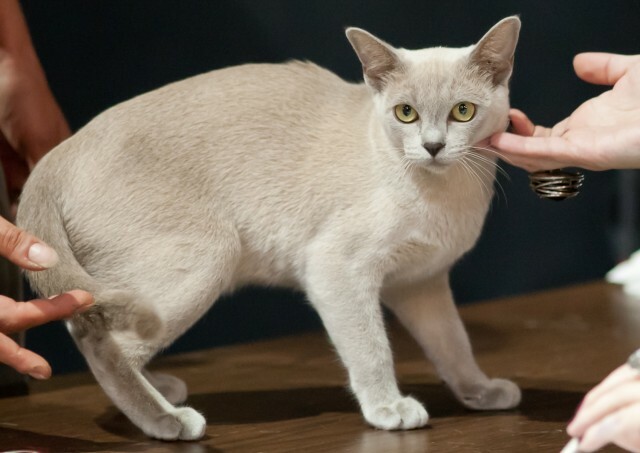 Lively, playful, talkative, and affectionate, the Burmese cat (also known as copper cat), is available in three body types and various colours and patterns. Despite its relatively recent introduction to North America and Europe, the Burmese breed had been well-established in Myanmar (formerly Burma) for hundreds of years, and legend has it that these cats were once worshipped in Burmese temples. The Burmese is featured in The Cat-Book of Poems, a manuscript created in Ayudha, Siam (now Thailand), sometime between 1350 and 1767. The Burmese originated in Myanmar, where it is known as the copper cat. All Burmese cats living in North America and Europe share a single common ancestor (Wong Mau), which was brought to the United States in 1930 by Joseph Thompson. Thompson, a retired navy doctor who had spent time in Tibet as a Buddhist monk, had developed a fascination with eastern cats. 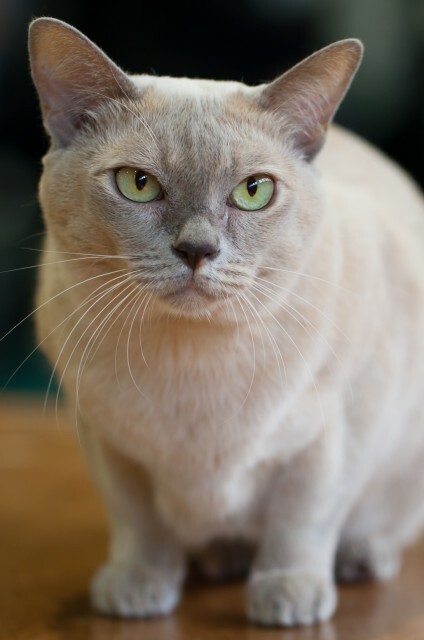 He bred the walnut-brown Burmese female with Siamese cats, thus determining that the Burmese was a distinct breed rather than simply a Siamese variant. He then worked to establish the Burmese as a unique breed in the United States, but faced an uphill battle because Siamese cat breeders believed that Wong Mau was just a Siamese cat with improper colouring that would pollute the Siamese gene pool. The Cat Fanciers’ Association (CFA) recognized the Burmese in 1936, but poor breeding practices and opposition caused the organization to rescind registration in 1947. Breeders responded by improving the breed until its registration was reinstated in 1953. More closely aligned with the original Myanmar Burmese, the Traditional Burmese differs from the Contemporary in that its face and nose are longer and less flat, and its head less round. Also known as “Foreign,” the European is slimmer, but still solid and muscular, with a more elegant frame and slightly slanted eyes. The European Burmese is available in additional colours and patterns, including red, cream, and tortoiseshell. Burmese cats have won a large following among cat lovers due to their appealing personalities. Active, highly intelligent, playful, and devoted, Burmese like to spend every waking moment with the people they love.They are usually lap cats, and are inclined to follow people from room to room and “help” with the chores. This is not a breed for those who spend a lot of time away from home. Owners report gender differences in Burmese temperament. Females tend to be more active and curious, whereas males are more laid back and placid. Burmese of both genders are quite vocal, and utilize a variety of different meows. However, their voices tend to be softer than those of the Siamese, and somewhat raspy. 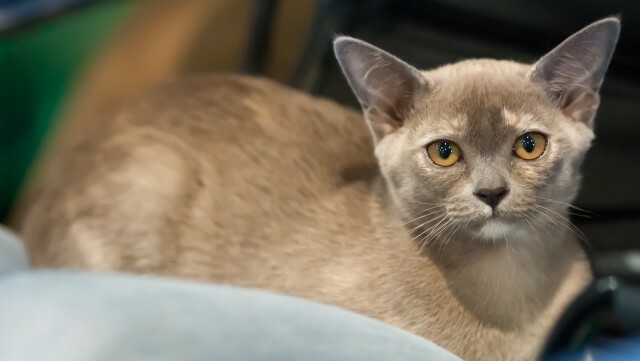 Extroverted, loyal, and often interested in playing fetch with their toys, Burmese are among the doglike cat breeds, but they also have a strong assertive streak and can be quite stubborn. Once committed to a course of action, it is difficult to dissuade them. Owners rate the Burmese highly on nearly every positive measure, but notably low on docility. Trusting, friendly, and lacking in survival skills, Burmese cats should kept indoors. On the plus side, they are relatively adaptable, and can learn to accept (and even enjoy) spending time with dogs or traveling in cars, as long as they are introduced to these pastimes at an early age and the experiences are positive. Burmese cats are prone to developing gingivitis, so preventative dental care is recommended. Burmese kittens are also prone to a disorder of the third eyelid called “cherry eye,” which can be surgically corrected. The Contemporary Burmese has a slightly higher-than-average risk of cranial deformities, as well as weepy eyes and breathing problems. These problems are not associated with Traditional or European Burmese cats. Overall, like many other eastern cats, indoors-only Burmese cats tend to enjoy above-average longevity barring accident or disease. Adopting kittens from a reputable breeder significantly reduces the risk of inherited problems and increases the likelihood of a long and healthy life. Purebred Burmese kittens cost at least $300-$500 and often more, depending on bloodlines, markings, and other factors. See Where to Adopt Kittens for tips on finding reputable breeders. 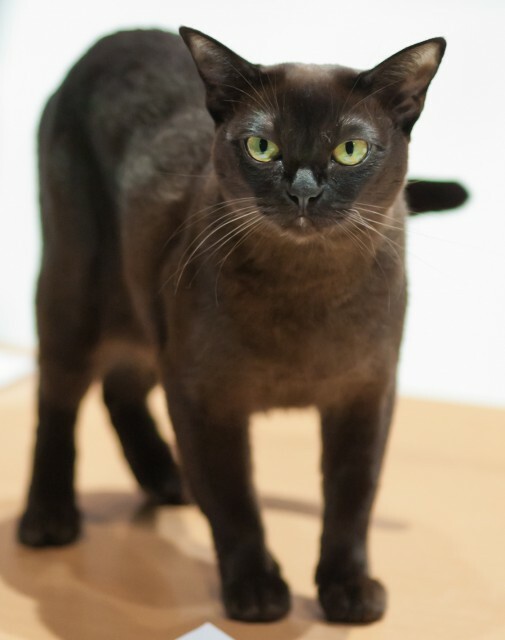 To provide a loving home for an adult Burmese cat in need, visit Petfinder’s list of available Burmese cats and the Burmese Cat Rescue page. Helgren, A.J. (2009). “Choosing a Burmese.” PetPlace.com. Kollman, J, & Swihart, P., Cat Fanciers’ Association. (2009). “Breed Profile: Burmese.” CFAinc.org. Vella, C.M., & McGonagle, J. (1995). Burmese Cats. Hauppage, NY: Barron`s Educational Series. Love our burmese have an on going problem with spraying.